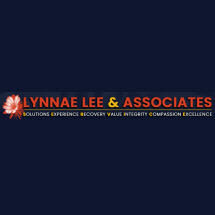 Lynnae Lee & Associates has more than 40 years of combined legal experience, which means we've seen and solved problems like yours, and some even worse. Along the way, we've learned to listen to you, and whether you're concerned about child custody, asset protection, spousal support, coming to or leaving Hawaii, or even something more unusual, we'll make your concerns our priority. Once we've identified your goals, we can tell you the solutions that the law makes available. If you have a truly new problem, we're good at creating new solutions. Cases involving multiple jurisdictions, emergency actions, or exotic asset protection strategies don't scare us, we like new challenges. And if you think your spouse, your spouse's parents, or the other party is or are the most bizarre, disagreeable people the world has ever seen, don't worry, we've met worse. We've found that you can apply sound legal judgment and real-world practical experience to just about any problem, and we're eager to do that for you. We offer a free half-hour consultation to help you decide whether your problem can be solved by lawyers, and if so, whether we should be those lawyers. We'll give you a candid assessment of your situation, and explain the approach we'd take to solving your problems.